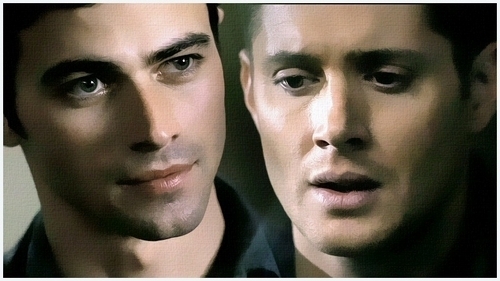 John & Dean Winchester<3. . Wallpaper and background images in the Winchester Girls club. This Winchester Girls fan art might contain портрет, выстрел в голову, близком расстоянии, макро, and крупным планом.